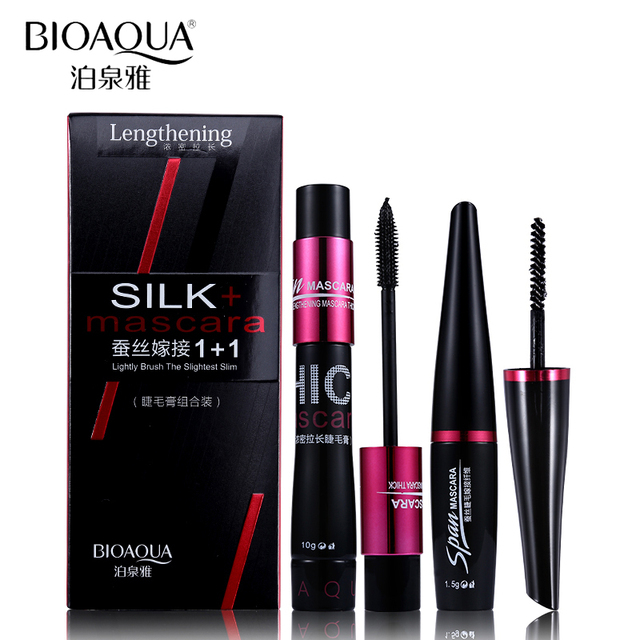 DropSpotter | Product Details | "BIOAQUA Brand Black Silk Fiber Mascara Makeup Set Eyelash Extension Lengthening Volume 4D Mascara Waterproof Cosmetics 2pcs/lot"
It is sold by a seller in China (guangdongsheng) and has ePacket shipping availability to 8 countries. Cheap Mascara, Buy Directly from China Suppliers:BIOAQUA Brand Black Silk Fiber Mascara Makeup Set Eyelash Extension Lengthening Volume 4D Mascara Waterproof Cosmetics 2pcs/lot Enjoy ✓Free Shipping Worldwide! ✓Limited Time Sale ✓Easy Return.